Queens Riverside is part of a vision. Part of Perth’s first luxurious residential quarter. 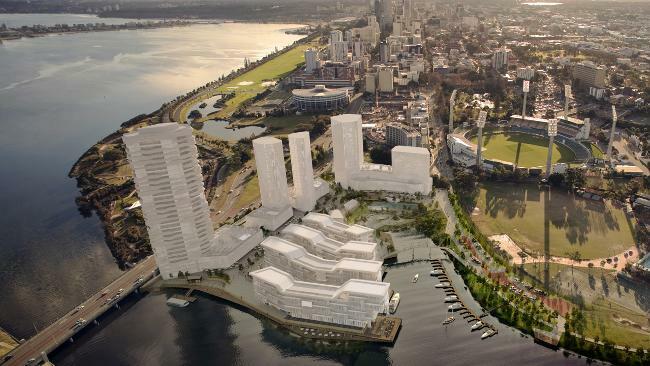 The Australian Financial Review is reporting that Diploma is about to be awarded a contract to build stage two of the Queens Riverside development in Perth, valued at nearly $100 million. Queens Riverside is resort-style living at its finest and with a fully equipped gymnasium and outdoor heated 25m infinity pool, and easy access in and around the CBD. Queens Riverside will become a vibrant quarter within a great metropolis in the best European tradition. At the centre of Queens Riverside a beautifully landscaped open public space with water features, gardens and resting places will form a pedestrian link with, at its centre, a truly European inspired ‘piazza’.Queens Riverside is set to redefine the template for the future of true city living. Quality tenancies will be sought to ensure the level of services offered to residents is commensurate with the Queens Riverside vision. Queens Riverside is positioned on the doorstep of the best food, retail, cultural and entertainment choices Perth has to offer. Absolute river frontage at its eastern edge with river and parkland views throughout the project area, the Riverside precinct is set to become one of Australia’s most desirable inner city locations. » ONLY Flemington « Will home automation require electrical upgrades?